These are the retailers with whom we have affiliate programs. If you visit their site and make an online purchase, we will receive a small commission on the sale. 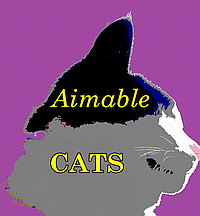 Aimable Cats is a participant in affiliate advertising programs designed to provide a means for sites to earn advertising fees by advertising and linking to retailers. The PetSmart affiliate program is ending on 28th January 2018. A purchase is required on all of these. This advertiser is temporarily offline. They are also the source of Soft Paws. 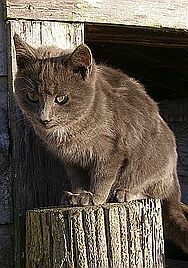 See the main post in the For your human forum or click on the image at right. 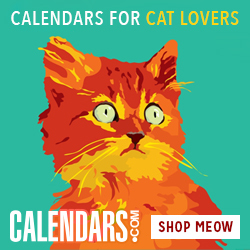 Over 250 cat calendars available for 2018. « Peazz .com has what you need for your home from home furnishing goods, pet supplies, toys, and even apparel. Our commitments to our customers range from pricing to services, we offer Peace of mind shopping for all! 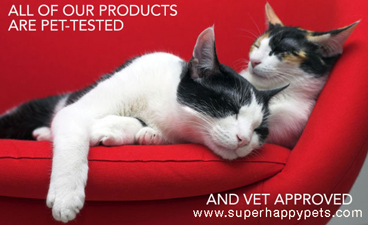 » TSC Pets is one of their stores, but you can shop for cat supplies at the Peazz site as well.